Sarah Booth Rides Again! And Again! In the run-up to the May release of CHARMED BONES, I have some exciting news from St. Martin’s. 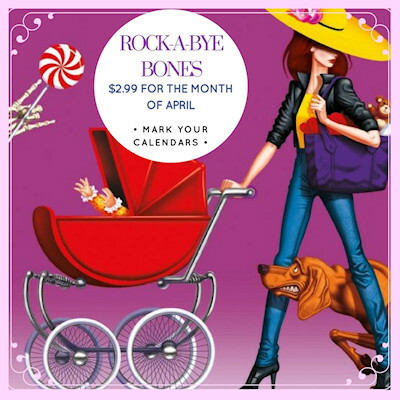 They’ve authorized a special sale price of $2.99 for ROCK-A-BYE BONES e-book for the whole month of April. If you haven’t read it, now is a good chance to get it for a rock bottom price! 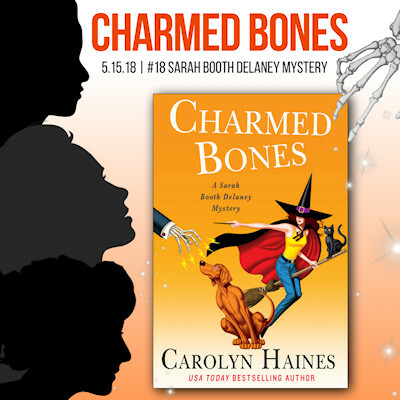 In CHARMED BONES, a trio of witches move into Sunflower County to open a boarding school—and the conjuring potions hit the fan. When a famous artist is found dead in his own apple orchard, it seems dark forces are at work. Sarah Booth, Tinkie, and the gang have to figure out what’s happening before innocent people are harmed. And for those who like to hold onto the newest Bones book and savor it (and I know who some of you are because you’ve confessed!) go ahead and indulge. Because there will be another Bones book this year. 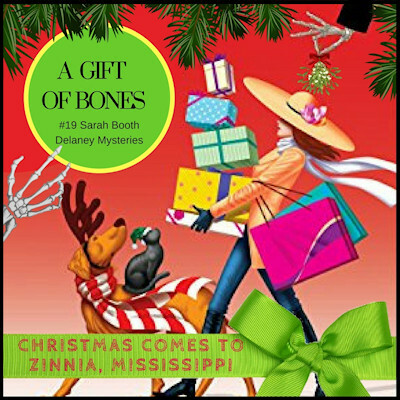 A GIFT OF BONES, set for release in October. I think this may be Priya Karsan’s most favorite cover of the Bones books. The books don’t have to be read in order; each one is a separate and complete mystery. It’s something each writer of a series works really hard to do—to give just enough of the past history of the characters to clue a new reader in, but not to overload loyal readers with too much of the past. And look to this space next month for a free preview of CHARMED BONES. I’ll have a link for you. 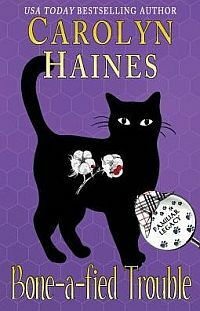 In the world of Trouble, the black cat detective, we have several new releases set for the year. The first two are TROUBLE IN PARADISE (Rebecca Barrett, May 7) and TURNING FOR TROUBLE (Susan Y. Tanner, July 9). More books are scheduled, but no point in overloading the wagon right now. For fans of the Pluto’s Snitch series, I have a tiny disappointment. I won’t have time to write another book in that series until early 2019, but never fear. I have the entire story in my head (Why not? There’s not much else up there!). So when I get a chance to write, I’ll be able to fly. I hope. The truism for writing is that each book is a completely new adventure. I learn so much with each book, but the next one always has a multitude of new lessons, or reminders of past lessons I’ve forgotten them. This is such an interesting business. One reason I love it so is because it is never the same. No matter how many books I write, it is never the same thing. The critters are hanging in there. I don’t want to go into details, because two of my babies are really sick and I know at their advanced ages, the end is inevitable. We’re just taking it hour by hour, day by day. I’ve been “out of work,” meaning not going to a paid job, for over a year and a half. In that time, I’ve published 5 Trouble books (you know other writers write them, too), a short story collection, written three Sarah Booth books, written two Pluto’s Snitch, and contributed to a couple of anthologies. I think about all of this work, and I have no idea how it got done. The elves and brownies must be working overtime. But I have also done two important things for me. I started taking a Tai Chi class and photography lessons. Long ago I was a pretty darn good newspaper photographer, but the entire industry has changed. I learned to shoot using Tri-X black and white film and processing the photos myself in a dark room. Now it’s all digital. I bought a new camera TWO YEARS AGO, and I’d hardly looked at it. So I decided to take the bull by the horns and learn that new camera. The principles of photography are the same, but the use of the camera is vastly different. 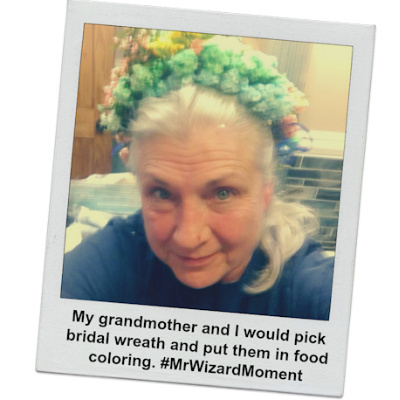 I’m having a blast and rediscovering my love of this activity. So be sure you’re signed up to my Instagram and Twitter accounts, because pretty soon I hope to have even more farm photos to share. And please tell your reader friends about my books if you feel comfortable recommending them. Word of mouth is the advertising no one can buy. It has to come from the heart. Easter is one of my favorite holidays. Back in the day, I used to have crazy parties where everyone (guys too) had to wear an Easter bonnet and do the “parade” around the pool. Judges awarded prizes. We also had an Easter egg hunt, only I hid miniatures of liquor, water balloons, and those plastic Easter eggs with tasks to perform tucked inside them. Humiliating tasks. It was total mayhem, but a lot of fun. We laughed and laughed. I’d have a party this year, but I’m buried in edits and deadlines. Such is the life of a writer.